How-To Articles on using our GPS devices and software to get the most out of their functionality and capabilities. Full enforcement of the ELD mandate in the U.S. has been in effect since April 1st, 2018, so if you or members of your fleet drive through the United States and haven’t been stopped yet, you should prepare for your first stop with the following information to ensure your drivers are aware of what is expected during the inspection to get them back on the road swiftly. 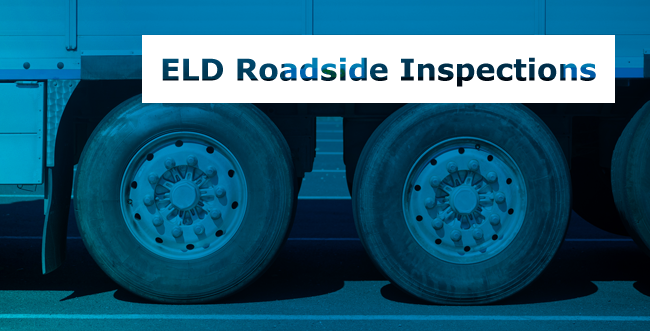 When a commercial vehicle driver is stopped for a roadside inspection they are required to present their record of duty status for the 7 days prior to the inspection. 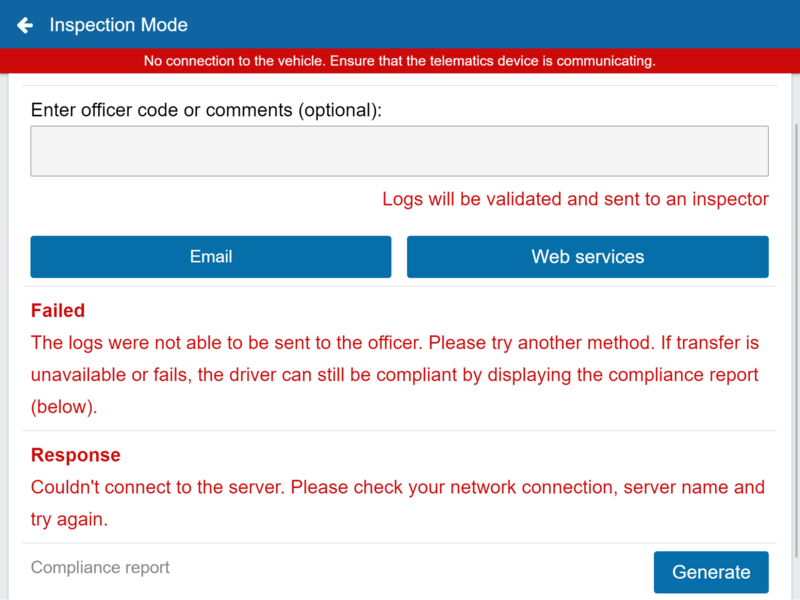 Geotab Cloud ELD (Geotab Drive) offers three methods to present driving logs to Department of Transportation enforcement officers. 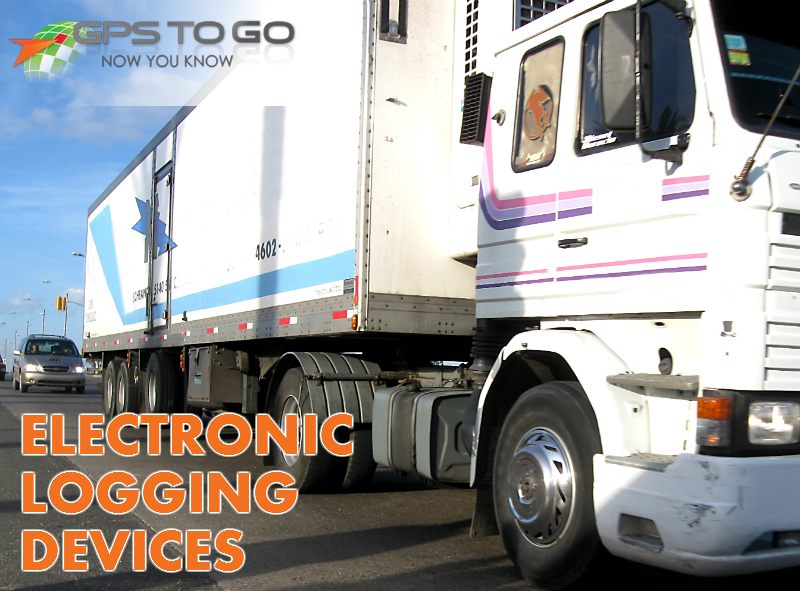 These methods are through web services (preferred method of FMCSA), by email, or through the display option presenting the logs off a tablet or phone. Although your drivers should be trained on how to use the Geotab ELD device prior to hitting the roads, it is also important to know it is mandatory at all times to have instructions on how to use Geotab Drive in the cab for the driver and officer to reference. If in doubt on what the process is, or what is needed during a roadside inspection, drivers can also reference the new workflow called Inspection Mode as part of the Geotab 1802 software/firmware. Inspection Mode will also display a new warning to officers when they attempt to leave Inspection Mode telling them to return the device to the driver. This warning is to help prevent officers from looking at other places within the app that they shouldn’t be on. Looking to select an ELD solution that is perfect for your organizational needs and structure? When fleet managers implement the proper ELD solution they’re ultimately setting the company, its operations and its drivers up for success. How so you might ask? ELD solutions ensure that you’re adhering to government regulations, are mandate compliant, increase overall safety and boost efficiencies and productivity dramatically. For a company with 450 fleet vehicles on the road like Black & Veatch, headquartered in Overland Park, Kansas, driver safety is critical. The company has many technicians and servicepeople out on the roads each and every day, with some driving up to 7,000 miles (11,000+ km) per month. Needless to say, all that driving makes safety, accidents and liability a major concern. So when the company set out to improve those key metrics, they turned to Geotab GPS Fleet Tracking to help… and saw some amazing results. On the whole, Black & Veatch’s goal was to use a solution that could measure drivers’ performance, and motivate a wide-ranging collective of operators to improve performance fleet-wide: improving safety and reducing costs stemming from accidents. To do so, they implemented Geotab GPS Fleet Tracking and made use of some key tools and data that the Geotab system provides. The driver scorecard allowed Black & Veatch to clearly pinpoint issues and see which drivers or vehicles needed additional training. … A policy was developed to help ensure all drivers followed specific safety guidelines, with driver safety scores reported each month to supervisors, the management team, and communicated to employees. The safety scorecard is a simple, but highly effective way to gauge the safe driving of your employees. It allows you to customize the factors that affect someone’s score. In Black & Veatch’s case, the big factors were speeding and seatbelt use, with excessive acceleration, harsh braking and cornering also playing a role. Improved average fleet safety score by 28%. Reduced the number of high risk drivers by 87%! The data provided by Geotab gives you the tools to improve safety in your fleet. But it helps to have a plan for implementing these tools for the best possible results. Being open with their drivers: letting them know exactly what the issues are that you’re monitoring, and that they’re having problems with. Being transparent: Allowing employees to see the information. Geotab makes it very easy to export and share various levels of data, depending on your needs! Providing Guidance: Some drivers may be understandably reluctant to have their vehicles and driving habits monitored via GPS. Establishing clear communication, and regular guidance will help them understand the true goals of the initiative. Geotab offers the best GPS fleet tracking solution on the market today. And you can get rolling today with our $50 GPS tracking trial offer. We send you the plug-and-play devices for you to try on your company’s vehicles. When you’re ready to purchase, we credit $50 per device to your account. And if you’re not completely convinced, no problem. There’s no hassle, no obligation, and never any contracts to sign. Improve your fleet’s safety and get rolling with Geotab fleet tracking from GPS to GO today! In reality, implementing a GPS fleet tracking solution is a great way to reward your best drivers, while correcting the behavior of your drivers that have negative habits or attitudes. Of course, hiring new drivers and replacing old ones can drain your resources and be disruptive to your core operations, so you want to keep your good employees happy and minimize that employee churn. And making use of Geotab GPS fleet tracking can be an excellent way to retain your best and brightest. It might seem counter to what you would think, so let’s look at how that works. Now let’s take a look at how integrating a GPS fleet tracking solution can address some of those issues, improving your company’s culture and helping you hang on to the best workers in your fleet. So let’s say you’ve decided for sure that you’re implementing a solution like Geotab — as an employee, you can understand the benefits of GPS fleet tracking, and the need to make employees accountable for their behavior and their actions. Any good driver should welcome that with open arms. And drivers who put up a fuss, well… just maybe, they have less-than-honorable reasons for not wanting to be held accountable. Rather than simply correcting the behavior of your drivers with negative habits (like speeding, idling and the like), you can use GPS tracking data to reward your good drivers. These rewards could include things like the least amount of times that the GPS tracking device detects incidents of speeding, or behavioral issues like the least amount of off-hours use of the vehicle. With Geotab, you have the data you need to get the full picture of your fleet, and make sure your best drivers stick around for the long haul. A productive employee is, most likely, a happy employee. And nothing increases efficiency and productivity like route management by a Geotab GPS tracking device. Provides real-time traffic updates to drivers, so they waste less time and are less frustrated. Prevents drivers from getting lost and frustrated in unfamiliar areas. More efficiency during working hours can lead to less of a need for overtime hours – giving employees more work-life balance, and reducing costs for fleet managers. Better routes, and improved productivity: now that’s something both employer and employee can get behind. Here are some other benefits that your best employees will appreciate from your GPS fleet management system. Or review employee performance reports together at a later date. Know which employees are performing best so you can reward and motivate them further. Want to build a better, happier and more productive environment for your best employees? Get rolling with Geotab GPS fleet tracking today, from your expert provider, GPS to GO. 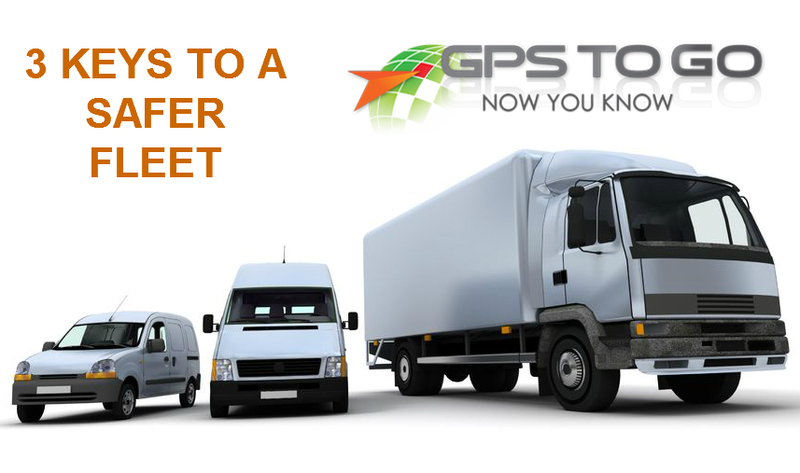 To get a feel for how fleet tracking can improve your fleet, start with our famous $50 GPS fleet tracking trial offer. We send you the device(s) and you try them out on your fleet. They install in seconds so there’s very little setup involved before you can start seeing the benefits. Try it out, and when you’re ready to purchase, let us know and we’ll credit the $50 to your account. Not the right fit for you? No problem – with GPS to GO, there’s NO contract, NO obligation. 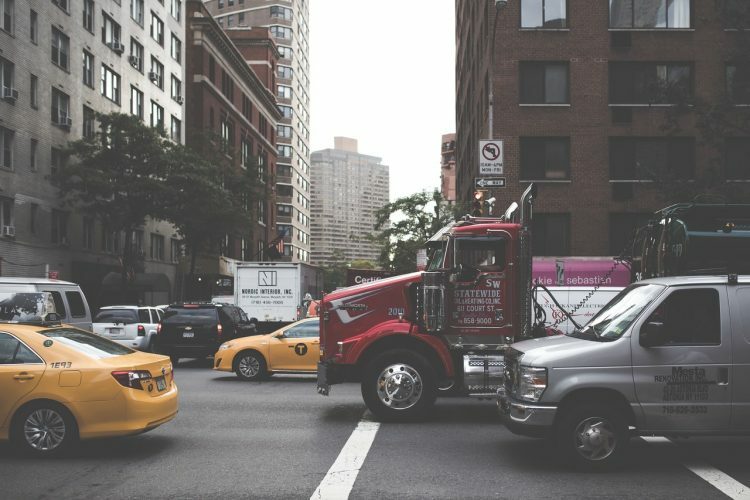 In the United States, any commercial motor vehicle (CMV) which operates across state lines will soon have to become compliant with the new regulations set out by the FMCSA. The idea behind the regulations is that companies will have to log their hours of service with electronic logging devices, or ELDs. The ELD replaces traditional paper logs, and synchronizes with the engine of the vehicle to collect, register and report important data automatically. And time is ticking to make the change. By December 18, 2017, all paper logs must be replaced by ELDs (those using automatic onboard recording devices, or AOBRD), are allowed as well. By December 16, 2019, all AOBRDs must be replaced by ELDs as well. While Transport Canada has not yet announced any official rules for Canadian operators yet, it’s a matter of time before similar legislation is implemented north of the 49th parallel. If you’re still on the fence about implementing GPS fleet tracking devices into your operations, then consider this the item that makes your decision for you: seamless integration with legislation-compliant HOS Tracking via Geotab Drive. So what is Geotab Drive, exactly? It’s an app that your drivers can install on their phones and tablets which makes HOS tracking simple. Basically, the app links with your Geotab GPS devices to automate the HOS tracking process, and provides all the tools and features to make verification a snap. Here’s a 2 minute video that shows you how Geotab can help your fleet compliance. The app syncs with your existing Geotab GO devices – no additional equipment required – and registers movement automatically when your vehicles are in motion. It’s easy to use, and compatible with Apple, Android, and Windows devices. It’s significantly more cost-effective than comparable solutions on the market – an amazing package at up to 70% less than the other guys! Moving to electronic HOS tracking reduces administration costs, immediately cuts down on paperwork, and minimizes violations. In addition to HOS tracking, the Drive app also offers functionality for Driver Vehicle Inspection Reporting and IFTA management. Get rolling with Geotab Fleet Tracking and its industry leading HOS platform today with a $50 Trial offer. We send you the plug-and-play devices – they install in seconds – and you try them out on your fleet. When you’re ready to buy, we credit you the $50 per tester device. Not the right fit for you? No problem. No hassle, no contracts, no obligations. That’s our commitment to you from the team here at GPS to GO. Remember, beyond the industry-best HOS technology, GPS fleet tracking has some serious business benefits: lower costs, safer driving, improved productivity, better maintenance and security, and the power of data to get your fleet running to its full potential. Get rolling today!